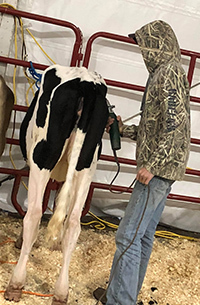 Jack Achen puts the finishing touches on his heifer. 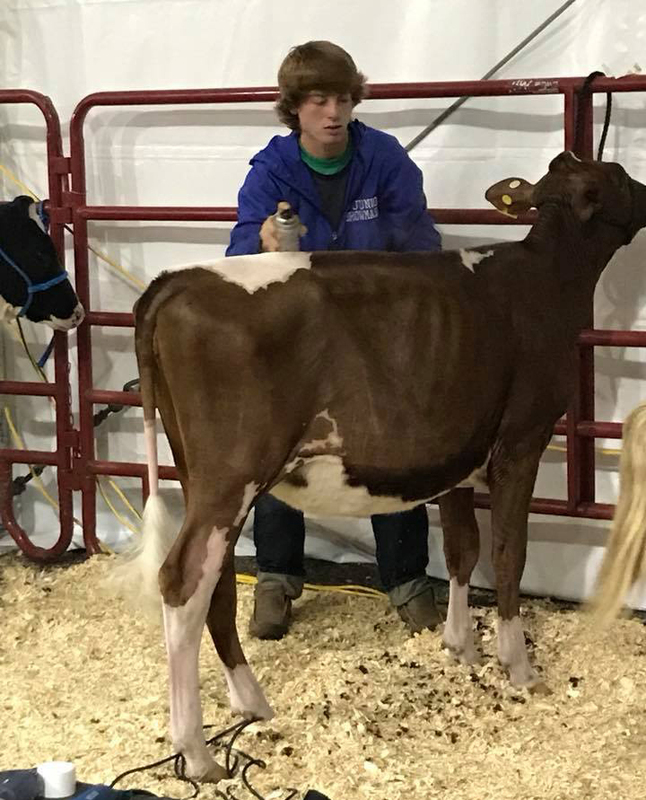 The ninth annual Youth Fitting Contest held at World Dairy Expo had its largest contestant pool, as well as a wide geographical scope. The 34 contestants represented 12 U.S. States, two Canadian provinces, and Germany. Ranging in age from 14 to 21, these participants were allotted one hour to prepare an animal to show-ready quality. Cattle were clipped and fitted in the Sale Pavilion on the grounds. Young men and women competed in four separate divisions for the top prizes during the Sunday, September 30 competition. The contestant that traveled the farthest was the top senior female fitter, Lisa Cramer of Uplengen, Germany. She topped a group of experienced senior fitters. While closer to home, Haley Beukema of Wisconsin was the highest-placing female in the Intermediate division. 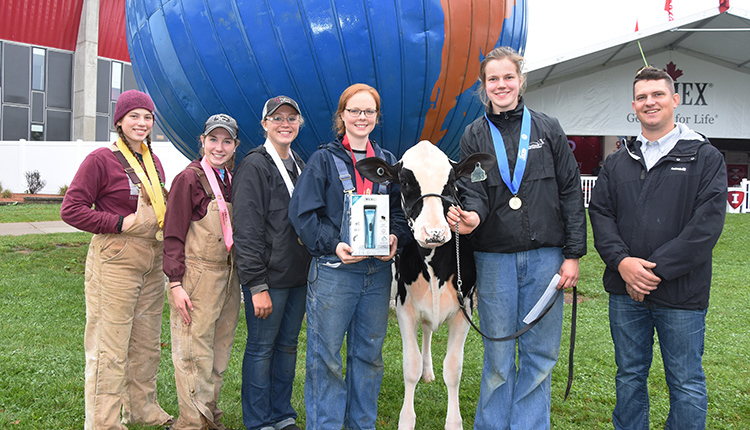 Winners of the Senior Female Division of the WDE Youth Fitting Contest are Elizabeth Stoltzfus (from left), Hannah Nelson, Avery Kotlarczyk, Emily Mikel, Lisa Cramer, and judge Tyler Reynolds. 2. Emily Mikel, Stafford, N.Y.
3. Avery Kotlarczyk, Kent, Ill.
4. Hannah Nelson, Ellsworth, Wis.
5. Elizabeth Stoltzfus, Berlin, Penn. 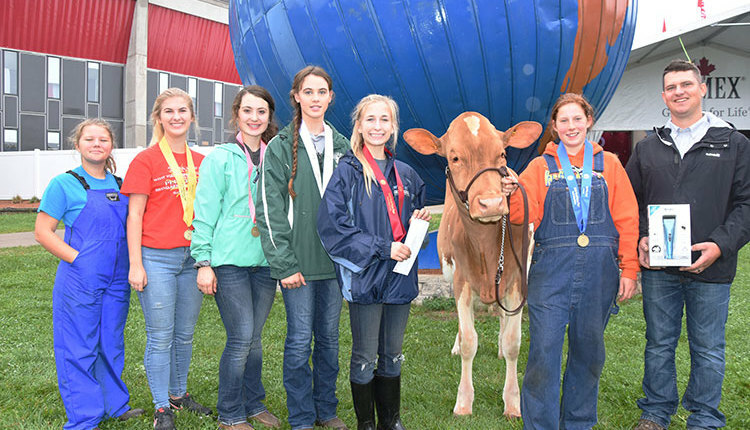 Winners and participants in the Intermediate Female Division of the WDE Youth Fitting Contest are Ashlee Garbers (from left), Mariah Eichenberg, Brooke Hammann, Sydney Lamb, Mallory Rhodes, Haley Beukema, and judge Tyler Reynolds. 1. Haley Beukema, New Richmond, Wis.
2. Mallory Rhodes, Millport, N.Y.
3. Sydney Lamb, College Grove, Tenn.
4. Brooke Hammann, Barron, Wis.
5. Mariah Eichenberg, Fort Atkinson, Wis. In the male division, the top three finishers all hail from the Midwest. Wisconsin’s Grant Fremstead and Austin Nauman, along with Minnesota’s Trevor Tuman, topped the Senior division. Indiana’s Dillon Freeman, Kansas’ Jack Achen, and Wisconsin’s Colton Brandel took the top three intermediate spots. 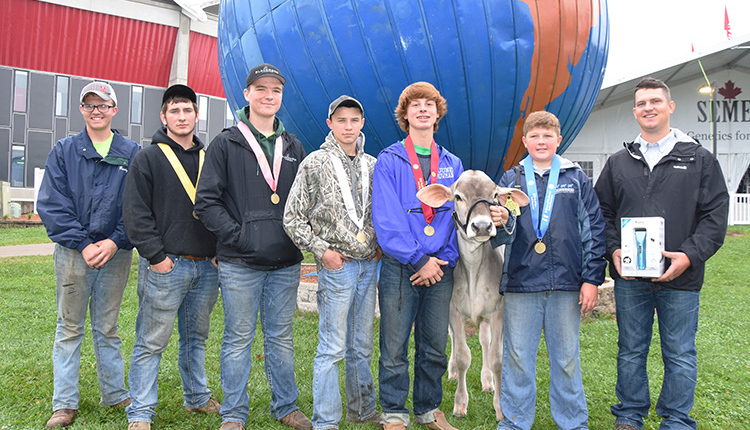 Winners and participants in the Intermediate Male Division of the WDE Youth Fitting Contest are Randy Winch (from left), Taylor Fester, Alek Krueger, Colton Brandel, Jack Achen, Dillon Freeman, and judge Tyler Reynolds. 1. Dillon Freeman, Bremen, Ind. 2. Jack Achen, Lakin, Kan.
3. Colton Brandel, Lake Mills, Wis.
4. Alek Krueger, Hazel Green, Wis.
5. Taylor Fester, Grove City, Minn. 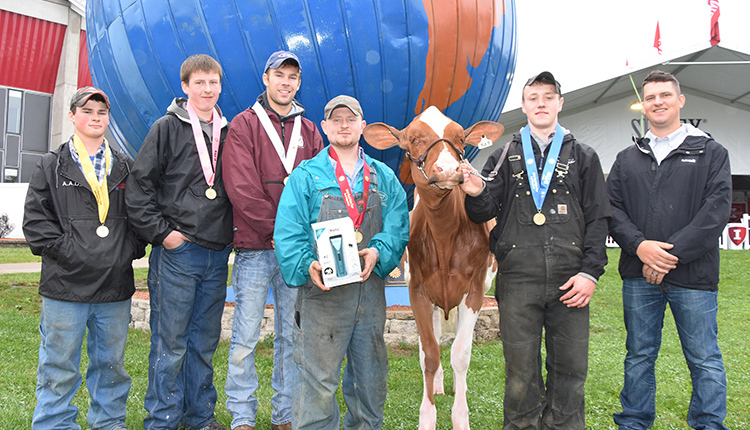 Winners of the Senior Male Division of the WDE Youth Fitting Contest are Dylan Brantner (from left), Ryan Lawton, Trevor Tuman, Austin Nauman, Grant Fremstad, and judge Tyler Reynolds. 1. Grant Fremstead, Westby, Wis.
3. Trevor Tuman, Arlington, Minn.
4. Ryan Lawton, Newark Valley, N.Y.
5. Dylan Brantner, Evans City, Penn. The contest official was Tyler Reynolds, feed manager at Reyncrest Farms in Corfu, N.Y. Assisting him was Andrew Lenhardt, Barn Manager at Oakfield Corners Genetics in Oakfield, N.Y.